Mount Aso is the largest active volcano in Kyushu, Japan, and is among the largest in the world. It’s located in The recent volcanic eruption stopped flights and travel tours, and scientists even suspected that the eruption might affect global weather. 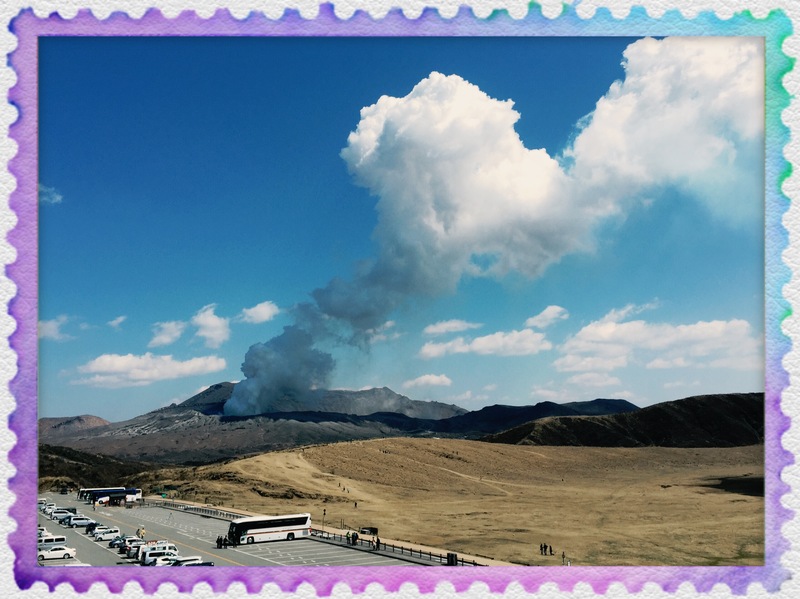 In fact, an Eruption Alert of Mount Aso has been hoisted since about a year ago, and some tourist attractions such as the services of Mt. Aso Ropeway has been suspended due to safety reasons. The time I arrived Mt Aso, we couldn’t take the ropeway to the mountain top. However, we enjoyed a gorgeous sunny day in the Aso area with only a few degree Celsius. The entire rural area was so peaceful and quiet. I love it. We had a few route changes at the planning stage of our mini-North Kyushu road trip. 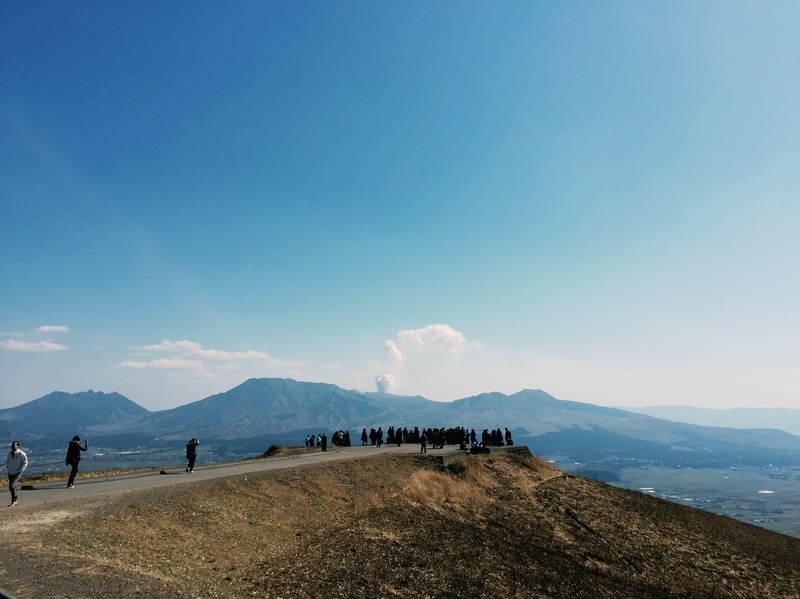 We thought about Beppu, Saga; then Oita was in the picture… interestingly, one place never changes: Mount Aso had always remained as our “must-see” highlight in our itinerary. Another fantastic find would be the hot-spring resort in Minami (Southern) Aso that has INDIVIDUAL, OUTDOOR, IN-ROOM, PRIVATE hot spring at an incredible price that’s hard to believe!! Stay-tuned 🙂 —- My route of the day in Aso. Without re-visiting all the ups-and-downs of my time, just to share a few highlights! The Aso Caldera is created by super-eruptions – the land subsided in Aso to create this landscape between 90,000 to 270,000 years ago. There is horseback riding everywhere in the world, yet somehow it is a signature activity in Aso. Let just say this place is beautiful (and much more economical) for those who plan to enjoy a fun time with horses (I like animals, and the ranch is so damn close to the hot spring resort we stayed!). Unfortunately, the ranch was fully booked the day I visited for a private event. Next time! The “busy” volcano museum area is the place where travelers can take a rest and enjoy lunch. 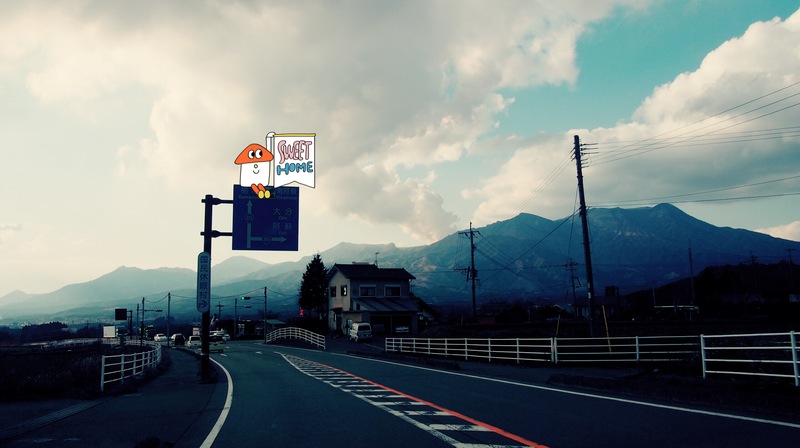 Let’s talk a little bit about the geography of Aso. 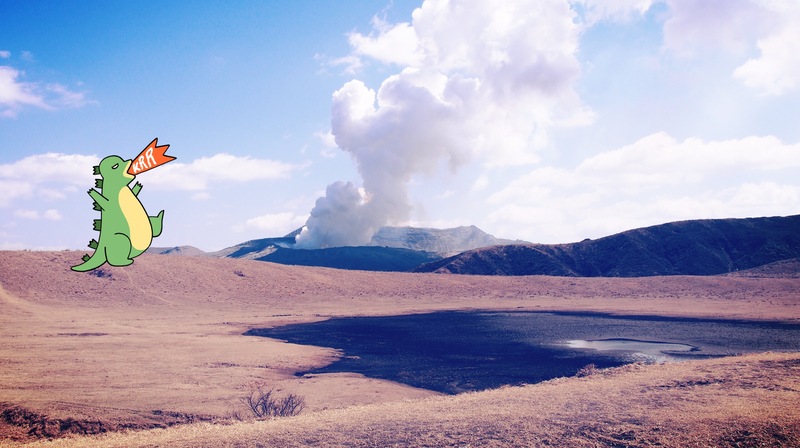 Aso is located in the Kumamoto Prefecture, on the island of Kyushu; and it is the largest active volcano in Japan. I learned that the feature of the area is called caldera. Caldera is a hotpot-like volcanic feature with a cone-shaped volcano in the center, and its surrounding land was collapsed due to volcanic eruption many, many years ago. Villages are now built around the volcano these days. The largest village is Aso – and it is located on the north side of the volcano. That’s how we found our resort. For a much lower price, the resort was an amazing experience. The resort is divided into the old wing and new wing. Every guest has their individual room and a small outdoor hot spring area. Each zone is thoughtfully designed and has a view of the beautiful mountain range, with cows wandering outside on the lawn. Regarding the food, it was not top-notched as I have tasted better in the past, in another hot spring, however, it is common in Kyushu to have the cuisine of horses. We visited Aso in March and to me, it was the perfect temperature to soak in the hot spring outdoor and rejuvenate our exhausted bodies right before our big adventure for tomorrow. Horse meat is a Kyushu speciality ~ you may find it in a set dinner menu during your stay. You could eat it raw (sashimi), or cooked. Daikanbo, surprisingly, does not usually appear on the Aso travel bucket list. But it is now officially on my must-see recommendation because it is the highest viewpoint from the North to look down on the entire caldera. 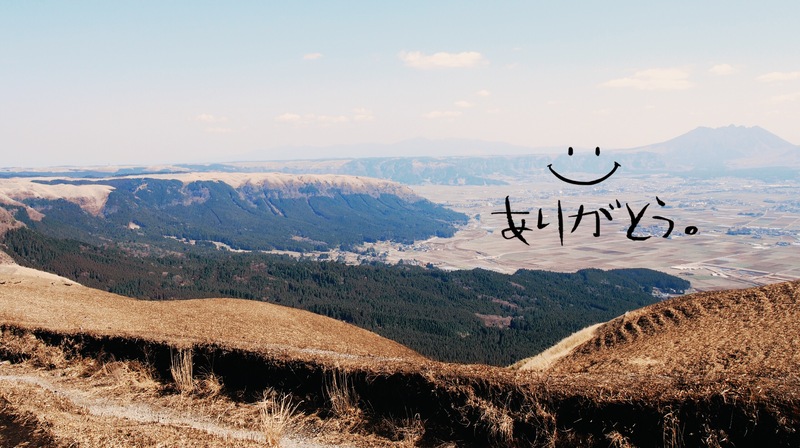 Daikanbo was not widely promoted in foreign travel website may due to its less fanciful commercial development but the more natural outdoorsy vibe, the peak must be well-known among the Japanese locals. The signs that lead to the lookout were not very clear, and the roads upon the peak were not shown correctly in GPS – we had to drive around a few times until we finally enter the right lane. We planned to take the 4:47 pm train to Kumamoto and therefore, we also planned to make the most of our time driving around the Aso area. Otherwise, it would have been less “stressful” for us to arrive the Aso station 10 minutes to catch the train but would have been less “fun” to reach Kumamoto with the Aso-boy “Kuro” scenic train. Japan is a small and developed country that railways could get you anywhere. The railway is inseparable from the Japanese daily lives, and there are a lot of fans who like collecting models and toys related to Japanese railway. For me, I always fascinated with the rail system route design, and I could stare at a roadmap for hours, wondering about the city layout, connections, and everything that comes with it. Aso Boy is a limited express train running two times a day between Kumamoto and Aso. Besides, the mascot Kuri is everywhere on the train and decorated with different themes and functions. A beautiful 180 degree of the Daikanbo! 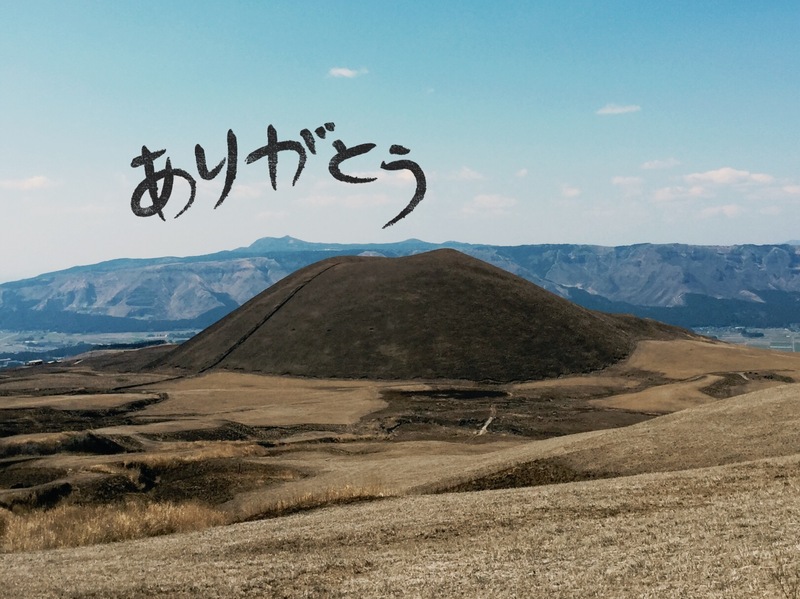 This is a great guide to Mount Aso. And also what stunning scenery! I quite like the idea of exploring on horseback myself. 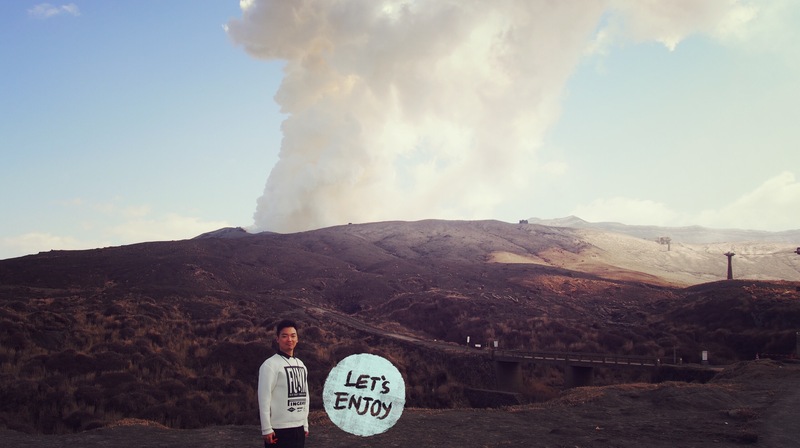 I’ve never been to an active volcano before, but Mt. Aso looks like a lot of fun. (Although I don’t know if that’s because of your fun photos). Thanks for sharing! I haven’t heard of this volcano before! I love that horseback riding is such a big thing there, it looks lovely. Before I came to England, I had never experienced life with such a big public transportation system. Trains are just amazing. There are a lot of themed train routes in Japan – could be popular cartoon characters, tourist attractions, scenic route or cat as a “train master”. Thank you, Kenny. I really like your comprehensive guide to Mt. Aso. I’ve visited some volcanoes around the world and finding information about where to stay, eat or how to get to the top was surprisingly difficult.